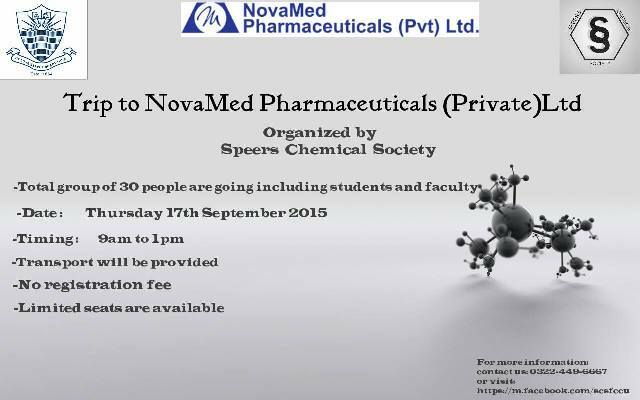 Speers Chemical Society is arranging a study tour to one of the emerging Pharmaceutical Industry, Novamed Pharmaceuticals on Thursday 17 September 2015. This study tour is free for students and faculty of the Chemistry Department and is especially arranged for those taking the CHEM 361 course. All others would be registered on first come and first served basis. For registration and more information please contact 0322-449-6667.